Top Five Instagram Accounts To Follow For Interior Inspiration! Should My Tile Grout Match or Contrast my Tiles? Instagram is one of the most visually stimulating places to go for inspiration. Pinterest and Houzz are also great sources of design inspiration. 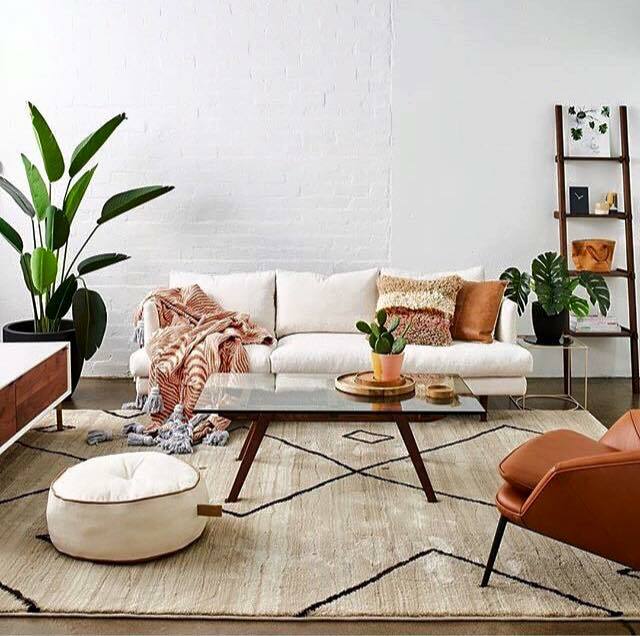 If you’re new to the Instagram scene, or just want some fresh new Interiors Inspo, check out our list of our favourite Instagrammers (apart from us here at your_asset_group, obviously!). The best part is that they are all Australian Instagram accounts, with our trademark Aussie style! ​Tahnee Carrol is a hip, young Sydney based Interior Stylist whose styling work is frequently featured in Real Living magazine. Her work is cool, retro and features Seventies throwbacks such as tan, mustard and houseplants- lots of houseplants! ​This Perth-based gal has the most gorgeous, pastel beach shack you’ve ever seen! Her Instagram is filled with pics of her young happy family enjoying their colourful, fun spaces. Mint, yellow and aqua are paired with blonde timber for a happy, charming home. ​Loaded with textured, funky pieces against eclectic backdrops, this Melbourne Insta account features psychedelic paintings from Meg Weston, whose art is frequently seen on The Block. This account is so tactile you just want to reach in and touch everything! Filled with vibrant images of outdoor settings, table settings and lush indoor spaces, this account will make you want to buy more soft furnishings for your home and throw a party! Another stylish Mummy blogger, this Mum showcases her four children’s amazing bedrooms layered with colour and personality. ​Your Asset Group is on Instagram and brings you renovation before & afters, styling and design inspiration and pretty spaces! ​What is your favourite Instagram Interiors account? We would love to know! Leave a comment with your favourite Insta account below!